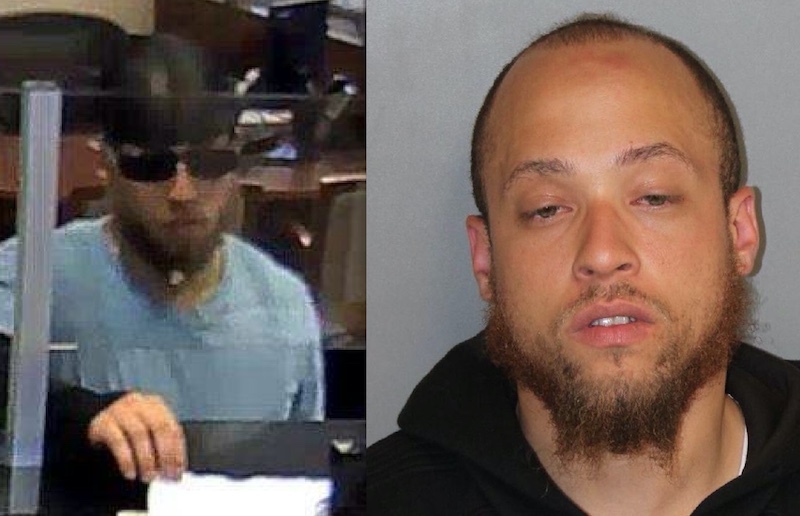 NEWARK, N.J. – A Passaic, New Jersey, man has been arrested and charged in connection with a spree of bank robberies in Hudson, Union, and Passaic counties last month, U.S. Attorney Paul J. Fishman announced Thursday August 4th. Quentin Morales, a/k/a “Quinton Morales,” 25, is charged by criminal complaint with four counts of bank robbery and one count of attempted bank robbery. He appeared Aug. 3, 2016, before U.S. Magistrate Judge Joseph A. Dickson in Newark federal court and was detained. Prior to his arrest Morales was one of Newark FBI’s most wanted bank robbers. At each bank, Morales presented a note demanding cash from bank tellers. During the July 13, 2016, robbery, for example, Morales handed the teller a note which stated: “You are being robbed. Give me all your large bills. No alarms. No dye packs. You got 10 seconds.” On at least two occasions, Morales said he had a gun and urged bank tellers to hurry. He was apprehended on Aug. 2, 2016, by officers of the N.J. State Parole Board. Each bank robbery or attempted bank robbery charge carries a maximum potential penalty of 20 years in prison and a $250,000 fine. U.S. Attorney Fishman credited special agents of the FBI’s Violent Crimes/Interstate Theft Task Force, under the direction of Special Agent in Charge Timothy Gallagher in Newark, with the investigation leading to the charges. He also thanked the N.J. State Parole Board and the Kearny, Elizabeth, Kenilworth, Linden, Clifton, Union Township and Newark police departments, as well as the Essex County Prosecutor’s Office for their efforts in the investigation and apprehension of Morales. The government is represented by Special Assistant U.S. Attorney Stephanie Raney of the U.S. Attorney’s Office General Crimes Unit in Newark.